It seems like just yesterday John Krasinski was selling paper and falling in love with the secretary at Dunder-Mifflin. Now he’s Jack Ryan and he can’t seem to keep his shirt on for some reason. I finished watching Amazon Prime’s Jack Ryan series last week. 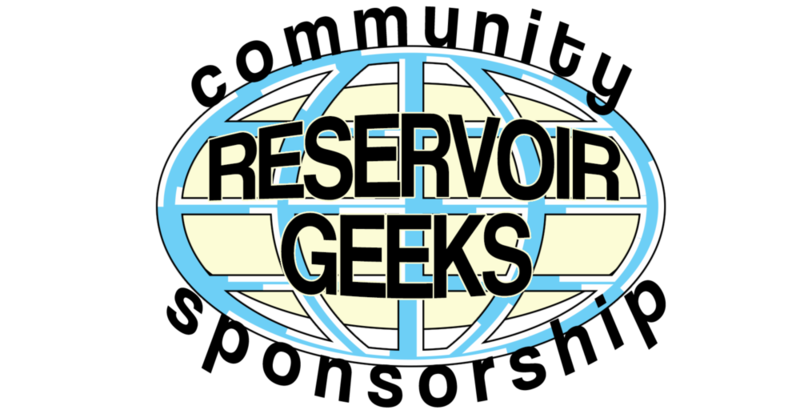 I was supposed to immediately follow that up with a review for Reservoir Geeks, but I couldn’t. After watching the new series I felt the need to go back and look in to all the movies that came before it. I’ve always been a fan of the character and I’ve even tried to force myself to read some of Tom Clancy’s dictionary-sized novels. I did not think that I could correctly honor the character of Jack Ryan-CIA Analyst without providing some analysis about the rest of his incarnations. I started my trip down memory lane by watching the Harrison Ford led Jack Ryan films: Patriot Games, Clear and Present Danger, and of course Air Force One (I’ll fight you if you say that’s not just an unauthorized “Jack Ryan is the president” movie). To this point I believe Ford’s portrayal of Ryan most closely resembles the character in the book. He’s a humble but confident and capable analyst who is tack sharp and regretfully gets sent out into the field. Unfortunately, the stories in both Ford’s films are nothing to rave about. In fact, I just watched both films this weekend and I couldn’t tell you the difference between the two. They are both decent films, but nothing special. Did you know Kenneth Branagh tried to reboot the Jack Ryan series in 2014 with Chris Pine as the lead? I did, I think…. but I also didn’t….did I?. Jack Ryan: Shadow Recruit was one of those films that looks like it could have been a big blockbuster with Kevin Costner, Chris Pine, and Keira Knightley. However, Shadow Recruit was given ho-hum reviews by film critics and fans alike. Fans of the books said Branagh tried to make the Jack Ryan character into too much of an action star. They may have a point, the poster is Chris Pine walking away from an explosion with a gun in his hand. I don’t know if that screams analyst. I saved what I knew to be the best film, for last. The Hunt for Red October is both the first Jack Ryan book and his first film. If you can manage to suspend disbelief for 2 hours while listening to a supposed Russian submarine Captain with a thick Scottish accent (it’s ok because it’s Sean Connery and he’s awesome) then this is THE Jack Ryan film to watch. The story is exciting, filled with twists and action. Some of my favorite character actors Sam Neill and Tim Curry have absolutely pivotal roles. Sean Connery plays a Russian Captain with map of the sea in his broken heart. He just wants to leave the memories of his dead wife behind him so he defects to the U.S. There’s good character development and subtle backstory for almost every character that needs it. This is also a master class of pacing, it does not feel like a 2hr 15min movie. There’s only one real problem I have with this film and I feel like I might need to ask for forgiveness for this one. I can’t stand Alec Baldwin as Jack Ryan. I don’t remember feeling this way the first time I watched the movie way back when but I really find him to be just the most obnoxious person in the room at all times. He seems smarmy. At one point I couldn’t help but roll my eyes when he’s crawling through the submarine talking to himself like he’s John McClane , which makes sense being that Die Hard and Hunt shared the same director. But Alec Baldwin is not Bruce Willis and Jack Ryan is not John McClane. Alas, if that’s the worst thing about this film then it’s really not all that bad though, is it? With all that out of the way now I feel as if I can give you my opinion of this new Amazon Prime series Jack Ryan. Unfortunately, my aversion to posters showing CIA analysts walking about from explosions with a gun in their hand is triggered right off the bat with this version, but it doesn’t matter. I mean it, it’s not just good compared to the other versions. It’s just good, it might even be great. The story is exciting, all the cast seem to be made for their parts. John Krasinski is surprisingly (to me, at least) perfect as the titular character. He’s smart, confident but not cocky, and definitely burdened with the cost of not making the right decisions. The is the perfect Jack Ryan. The character adapts to television like it was meant to be there from the beginning. Giving Ryan hours to develop his theories and plot his plan to fight the enemy is the perfect way to accurately portray his character. The first series is built on gradual moments of clarity for Ryan in which you can watch him take in all the information that is happening and then think (or talk) through the situation to get the solution to the problems that lay in front of him. Maybe the best example of this is (Spoilers! But not really Spoilers! I’ll say Spoilers over when I’m done) his time spent interrogating a couple of men in an American Military camp. While one prisoner is literally being tortured Ryan decided to share a meal with the other to get information from him. (Spoilers over! sorry?). Amazon’s analysts told them to renew this show for a second season before the show had even streamed the first season and they were right. I give Hunt for Red October a pass on the Scottish Russian captain because the story was great and Sean F’n Connery. I also give Jack Ryan a pass on the gun-toting, explosion-walking CIA analyst poster because of a great story and John F’n Krasinski. Posted on September 11, 2018 by Joshua Mazur and filed under TV Reviews and tagged John Krasinski Alec Baldwin Tom Clancy Ben Affleck Harrison Ford Chris Pine Jack Ryan TV Review Amazon Prime.